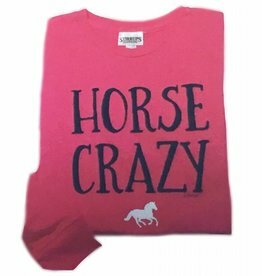 A hot pink long sleeve shirt made especially for that horse crazy kid of yours! 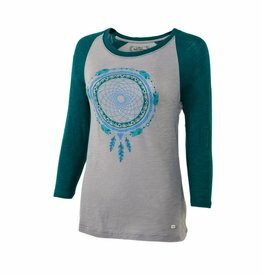 Super soft flowing fabric and relaxed fit with short dolman sleeves make this shirt breathable and cool while the solid color goes great with so many options. 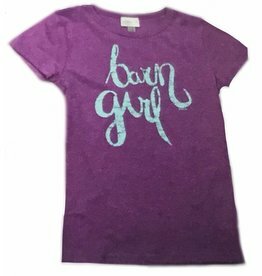 Your little girl will absolutely love this soft cotton tee! 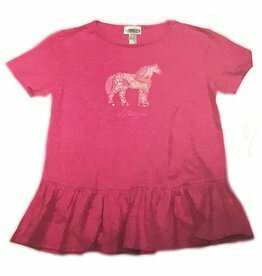 An adorable T-shirt with ruffle bottom in a sharp hot pink and a standing pony embroidered on the front. 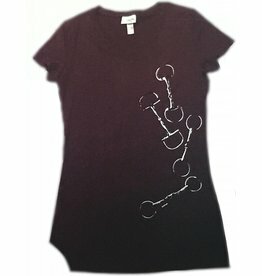 Wear this soft and stylish V-neck anywhere. 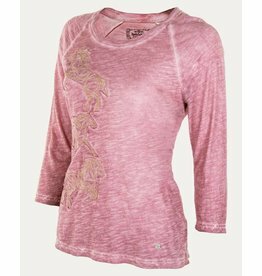 Be unique in the Noble Outfitters™ Washed Horses T-Shirt. 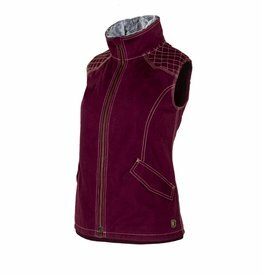 Each 3/4 length raglan sleeve shirt is unique, handcrafted with a special spray print technique and overlay embroidery featuring metallic stitch detail.